Great prices are important to me on household items. I am definitely a bargain shopper. I do not talk about it too much here on the blog but I love a good deal. I use coupons, seek out brands that have a quality product for not a lot of money and use different deal sites to let me know what the current deals are. Purex is a brand that I have used for years now for our laundry. I am happy with their detergent and recently was able to try their Purex Crystals as well. 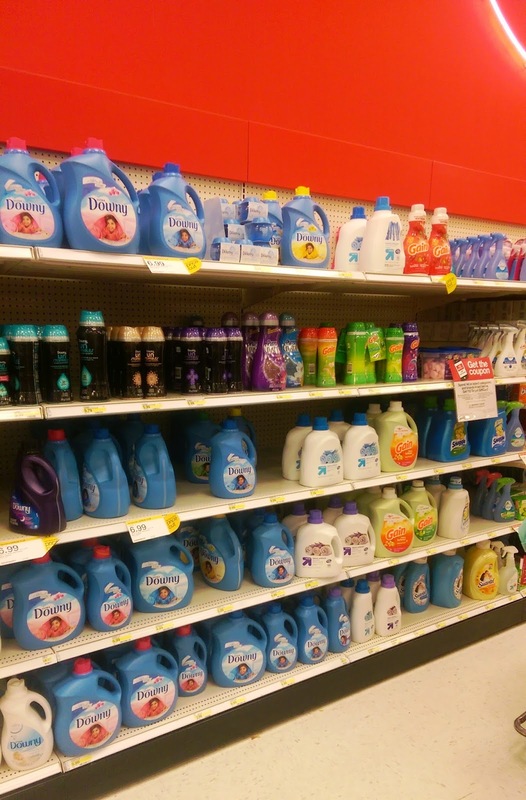 Target is a great place to shop! I love it because it has both practical and fashionable items and sells them at a good price. When I go to Target for anything, I can't help but look in the clearance sections. You can often find some awesome deals. I also always check the Cartwheel app before I buy anything which often has a coupon for something that I may be purchasing already. For Adalyn, I have made many purchases from Target. When I first was pregnant, I read that I should start stocking up on diapers early. I read great things about the Target Up and Up brand diapers and have purchased a lot of them. So far, so good! They work well and leaks are kept to a minimum. This brand is a lot less expensive than name brands and works well for our family. 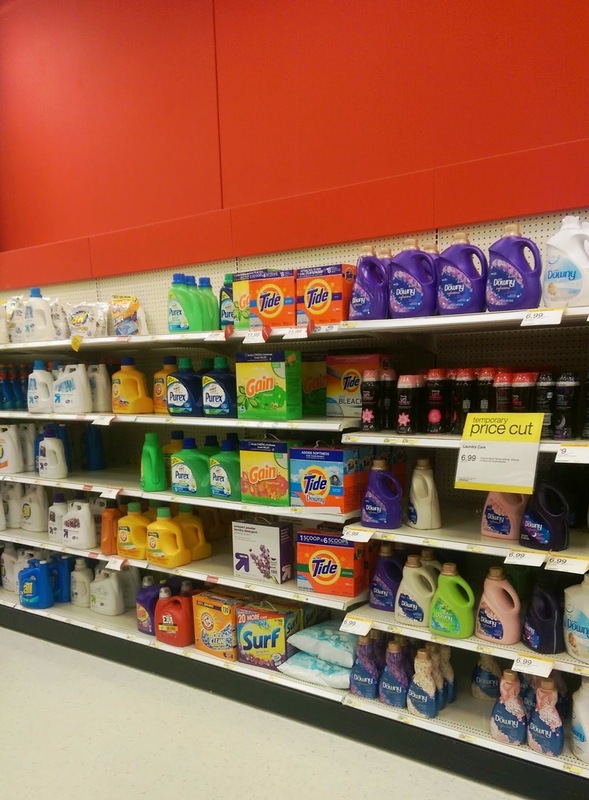 Purex is a detergent that is a great deal compared to some other similar brands. I have never had a problem with it and think that it works well to clean my clothing. With having a new baby, it is important to me for a product to work well since I am often short on time and also have lots of laundry to do. Babies get clothes, blankets and all sorts of things dirty quickly so using a detergent that works and does not bother her skin is important to me. With Purex, you can throw your clothes in the wash and not have to worry about them getting clean. Purex is a good product that will get the stains out and leave your clothes smelling fresh. By finding a brand that works and is affordable, I am happy using it for my family. Also, you can purchase Purex Detergent and Purex Crystals online and pick up in store if you would like which is a nice option.